Cowlitz County Deputy Justin DeRosier was shot and killed Saturday night. An investigation into his death is ongoing. 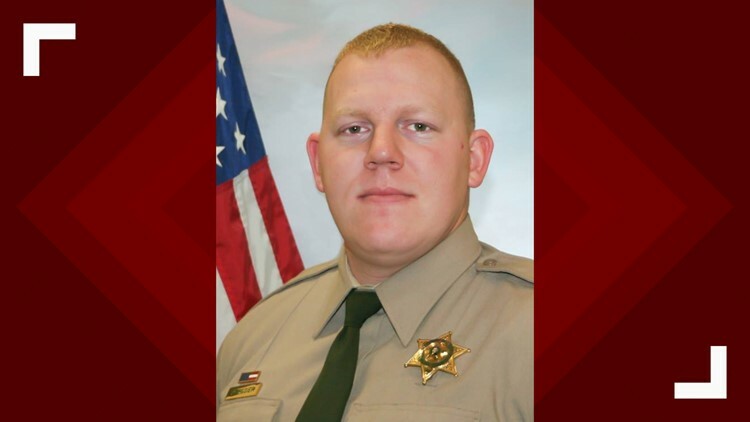 The Cowlitz County Sheriff's office announced that the person suspected of killing Deputy Justin Derosier was killed on Sunday night. The suspect died during an exchange of gunfire, Cowlitz County Sheriff Brad Thurman said. No officers were injured. The sheriff's office has not released the suspect's identity. During a press conference on Sunday, Cowlitz County Undersheriff Darren Ullman said that DeRosier is survived by his wife and five-month-old daughter. DeRosier was 29 years old, Thurman said. DeRosier was born and raised in Kelso, graduating from Kelso High School in 2008 and Washington State University in 2012 with a degree in criminal justice, Thurman said. DeRosier also served as a deputy sheriff with the Whitman County Sheriff's Office before joining the Cowlitz Sheriff's Office in 2016. DeRosier's death marks the first-ever death of a member of the Cowlitz County Sheriff's Office in the line of duty, according to Thurman.